If you’re new to meditation or looking for ways to enhance your practice, you’re probably curious about essential oils for meditation. Essential oils (known also as volatile oils, ethereal oils, or “oil of the plant”) is an oil that is basically the “essence” of a plant’s fragrance. They’ve been used medicinally throughout history, from simple treatments like skin issues to more complicated diseases. 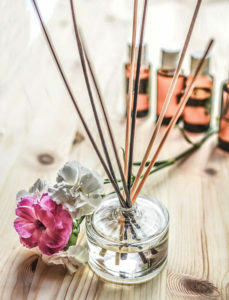 While their use in modern medicine is rare, they’re often used as a form of aromatherapy as a complementary medical treatment or as an alternative medicine. While there is no medical evidence proving essential oils can cure diseases, they help promote well-being and have positive effects on their users. That makes them a great addition to your meditation practice. Essential oils can help you more easily transition to a meditative state and calm your mind. For this article, we’re going to cover some of the basics of essential oils as an introduction and then offer suggestions for essential oils to incorporate into your meditation practice. Our recommendations include some of the best essential oils for meditation and some of the most popular options used by meditators. These essential oils are basic oils that you can use by themselves or as ingredients to make essential oil blends for meditation. Many essential oil companies also make their own meditation blends that you may enjoy (check them out on Amazon). As we said in the introduction, essential oils are derived from the essence of a plant’s fragrance. How are essential oils made? The majority of essential oils are created through a process called distillation. Raw plant materials (flowers, leaves, bark, roots, seeds, peels, etc.) 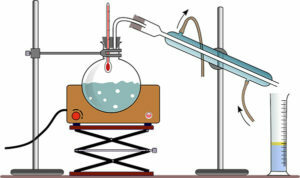 are placed in an alembic with water (shown in the illustration as the round glass container with boiling water in it). The plant materials do not touch the water but are placed over it. When the water boils, the steam passes through the plant materials and vaporized the compounds within the plant. The steam rises and then flows through a coil that cools the vapor until it condenses back into liquid and is collected (in the beaker on the right). Other essential oils, like those from citrus fruits, are made via expression or cold press extraction. This process works by using a mechanical expression to release oils from citrus peels. Before distillation was discovered, all essential oils were extracted through mechanical expression or pressing. You can learn more about the history of essential oils and their production on Wikipedia. Each type of essential oil has its own benefits and some oils are suited perfectly for enhancing meditation. Unless you’re meditating with a specific intention, you will most likely want to use essential oils that promote relaxation, are calming, and help you relieve stress. You may also find oils that help you ground and focus to be beneficial to your meditation practice. Our list focuses on oils that are the best for meditation and most often used by meditators. As you begin to experiment with essential oils, feel free to explore other scents or blends for your meditation. This list is just a starting point. Vetiver essential oil comes from a bunchgrass native to India. The roots are used to create the oil through a distillation that can take up to 24 hours. That process creates a bold scented oil with a golden, dark brown color. The aroma of Vetiver is often described as woody and smokey, with an earthy scent. To benefit your meditation practice, Vetiver oil is very soothing and calming. It’s especially great because it is spiritually grounding and will help you focus on your breath while it calms your mind. It’s a great oil to use when you are stressed or if you need to unwind after a long day. Some people use it as an aromatherapy treatment for anxiety or anger issues. It also helps with exhaustion and coping with insecurity or fear. Vetiver has a very strong smell, so you may want to dilute it or blend it with other oils before you use it to meditate. Other uses for vetiver include treating acne and oily skin topically (when diluted) and treating arthritis, depression, and insomnia. You may already be familiar with Sandalwood as it’s often used to make mala bracelets (learn more about malas for meditation). That same fragrant wood is used to make Sandalwood essential oil. The oil is extracted from the wood of the trees through a four part steam distillation process, usually done in India. This process produces a clear, slightly yellow oil. The distinctive scent of sandalwood oil has been highly valued throughout history. It has been used since ancient times for spiritual purposes in many different religions and is often used in chakra work. When looking for essential oils for meditation, sandalwood is an excellent choice because it is very calming and helps inspire a sense of inner peace, allowing you to focus on your breath more easily. It’s also good for dealing with stress. In Buddhism, the sandalwood scent is believed to be able to transform your desires and help you remain alert while meditating. As you would expect, sandalwood has a woody scent with a bit of sweetness (it’s often used in perfume and colognes). Other uses for sandalwood oil include treating depression or using it as an aphrodisiac. Some also use it topically for healing dry or chapped skin, fading scars or stretch marks, and find it works well for sensitive skin. 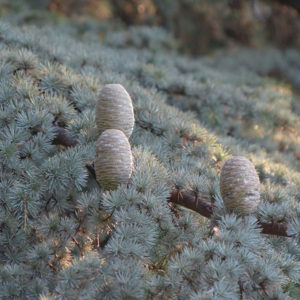 The atlas cedar is a coniferous evergreen tree that is native to the Atlas Mountains of Morocco. The wood is steam distilled to create a light golden yellow oil. Atlas Cedarwood has a long history: Greeks and Romans burned it as an incense and the Egyptians used it as a part of their embalming process. It is perfect for use while meditating, especially during moments of chaos and instability. 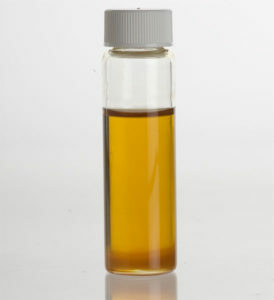 The oil not only defends against negativity but is also calming and grounding. It can help you bring focus inward when it feels like the world is directing your attention in a thousand directions. The scent of atlas cedarwood oil is often described as woody and sweet, yet it’s sharper than other cedarwood oils. Other uses for the oil include topical treatments for acne and dandruff, and it’s sometimes used to treat bronchitis and coughing. It is also considered an aphrodisiac. Palo Santo essential oil comes from a South American tree that’s known the Spanish name that means “holy wood.” It has been used in folk medicine for centuries for a variety of treatments and used to cleanse houses against bad energy by burning the wood. More recently, Palo Santo has been used as an incense and as an essential oil. The wood is steam distilled to create a clear, pale yellow oil. It is one of the new oils used in aromatherapy, so there isn’t as much documentation of its uses as the other oils on this list. Because of its history of use by native shamans, it is highly recommended for use with meditation or other spiritual practices. The oil is very grounding and helpful to calm you and center you when you sit down to meditate. Since palo santo has been burned to clear negativity, many people find the oil also helps to ward away negative energies. The scent of palo santo is woody but has some extra complexities not seen in other wood essential oils, with hints of citrus and mint to the oil. The oil is also used for vibrational work and as an insect repellent. 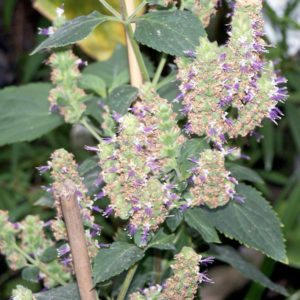 Patchouli oil comes from a plant native to the tropical regions of Asia, though it’s now cultivated across the world. The oil is made through steam distillation of dried leaves from the plant and produces a dark golden brown oil. You may recognize the name because patchouli is well-known for its use in East Asian incense and being popular among hippies in the ’60s and ’70s. Patchouli oil has also been used for insect repellant and a deterrent against moths to protect linens during the 18th & 19th centuries. 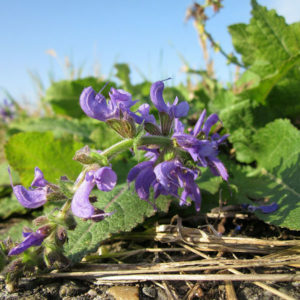 For meditation, patchouli essential oil is calming and grounding. It’s often used in blends for meditation and you should find it helps to center you and calm your mind when you sit for meditation. It’s a great oil to invest in early on because the oil’s scent improves with age, similar to a nice wine. Some people even grow patchouli themselves to enjoy the scent of fresh patchouli leaves and to dry them for personal uses. Though some find patchouli oil to be an “acquired taste,” it’s used frequently in perfumes and colognes. The scent is often described as an earthy and woody aroma, with a hint of fruitiness. Other uses include topical applications for acne, chapped skin, eczema, hair care, and as an insect repellant. It’s also used as an aphrodisiac. Clary sage oil comes from a herb that grows natively in north Africa, Central Asian and the northern Mediterranean Basin. It’s a fragrant herb with purple flowers. Historically it was used medicinally with written records of its use dating back to the 4th century BCE. Currently, it’s used in perfumes and to flavor vermouths, wines, and liqueurs. Clary sage essential oil is made by steam distilling the leaves and buds from the plant, which creates a pale golden yellow oil. Known for its stress-relieving effects, it’s a great addition to any meditation blend. It’s great for times of emotional turmoil when you’re having a hard time unplugging and relaxing. It’s also used as an aromatherapy for exhaustion, so it’s great for those times when work has you busy and frazzled. The scent of clary sage is earthy but has herbal and fruity notes. Other uses include aromatherapy for asthma, coughing, gas, and sore throats. Lavender oil is one of the most popular essential oils used in aromatherapy and it’s no surprise that it’s great to use for meditation as well. Lavender is well known for its beautiful purple flowers. It’s native to Africa, Europe, and Asia but is grown across the world now. In addition to oil, it’s used culinarily in salads and as a flavoring herb for meats. To create the oil, the lavender flowers and leaves are steam distilled to produce a very pale yellow, clear oil. Lavender has been used historically for perfumes and also medically as an antiseptic to treat wounds during World War II. Lavender is often used for its calming and sedative properties, the scent appearing often in candles, eyes pillows, and bath products. It’s a must-have in your meditation space as it can help you relax and fight stress, which will help you focus and calm your mind. If you meditate before bed it’s great to help fight insomnia and clear your mind of the day’s stresses. As expected, lavender oil has a strong floral scent that is fresh and sweet. 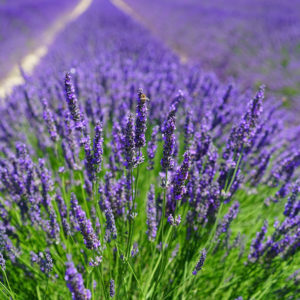 Other aromatherapy uses for lavender essential oil include treating allergies, asthma, and insect bites. Some use it as a natural mosquito repellant. You’ve probably heard of chamomile from its use as an herbal tea or as a lotion to relieve itching. The uses for chamomile don’t stop there and it’s a fantastic choice to consider when researching essential oils for meditation. 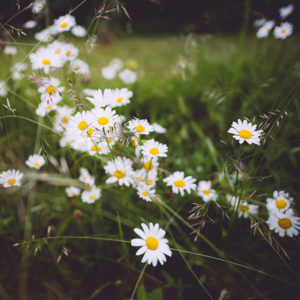 Chamomile comes from a plant common in Europe, North America, and also Argentina that is easily recognizable became of its white daisy-like flowers. You may have seen these growing in fields or near your home during the summer months. The flowers and buds are used to create chamomile essential oil through steam distillation. It results in a clear oil that has a bluish-gray tint. If you’re an herbal tea drinker, you’ve probably noticed that chamomile is often recommended for or include in blends for stress relief, relaxation, and to help you sleep. The essential oil has many of the same benefits. It’s great for dealing with stress, anxiety, and depression. The oil brings a sense of calm to the user, which is very helpful when trying to meditate during times of high stress, anger, or worry. It’s especially good to use when meditating before bed as it can help fight insomnia. Some people also use it in aromatherapy to help calm cranky babies and toddlers. The scent of Roman chamomile oil is a strong sweet and herbal scent. It is much stronger than the herbal tea in scent and potency. Chamomile oil is also used for healing inflamed skin, treating headaches, and enhancing the color of blonde hair. Note: Roman chamomile is not recommended for use during pregnancy as it can cause contractions and miscarriage. You may recognize frankincense as one of the gifts the baby Jesus Christ received from the three wise men in the Bible, but for many people that’s where their knowledge stops. Frankincense is a resin that comes from boswellia sacra trees. 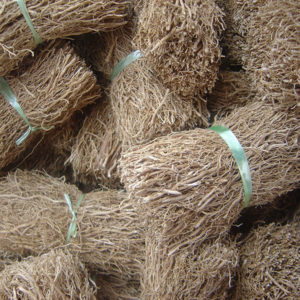 It has a strong scent which has lead to a history of use in incense and perfumes. It’s also been traded for over 5000 years in Northern Africa and the Arabian Peninsula for medical, cosmetic, and spiritual uses. The tree resin is obtained by slashing the tree’s and letting the sap leak out and then harden into what’s called frankincense tears (pictured). The hardened resin is then steam distilled to create a pale yellow oil. When considering essential oils for meditation, frankincense is a great choice when you’re looking for something calm your mind and help ground you. The oil is calming without causing sleepiness, which makes it great for a morning or midday meditation. It’s also often used as a treatment for anxiety, so it’s great for helping to calm your mind in stressful times. The scent of frankincense oil is a woody, balsamic smell with a hint of spice. Other uses include treating asthma and coughing, as well as applying to scars and stretch marks. Myrhh is another one that you may recognize from the story of Jesus Christ’s birth. Similar to frankincense, myrrh is a tree resin from common myrrh trees that are native to the Arabian peninsula and Africa. The resin comes from cutting the tree so it bleeds the gum, which quickly hardens. 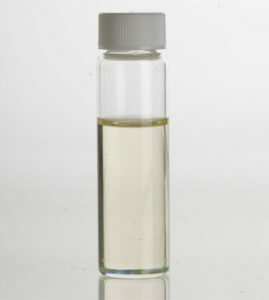 The myrrh essential oil is made by steam distilling the myrrh resin, which creates a darker yellow/brown oil. Historically myrrh has been used medically and spiritually for religious rituals by Egyptians, Jews, and early Christians. In addition to being a powerful fragrance, myrrh essential oil is great to use while meditating. The oil is very grounding, which will help you to get into the right frame of mind to meditate. It’s also good at mellowing emotions and can be useful during periods of heightened emotions of anger or sadness. Myrrh essential oil smells earthy and woody, somewhat balsamic. 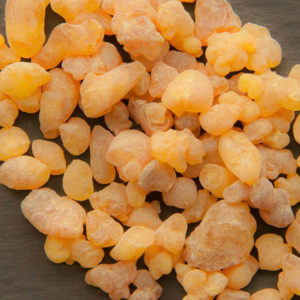 If you find the scent of myrrh to be too harsh, it blends well with frankincense. Other uses for myrrh essential oil include oral health (toothpaste, mouthwash), treating athlete’s foot, ringworm, and chapped skin. 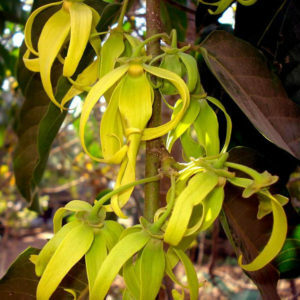 Ylang ylang essential oil comes from the cananga tree, which originated in Indonesia. The bright yellow flowers are steam distilled to create a clear yellowish oil. The distillation process can very by the distributor and you always want to buy ylang ylang complete or extra oil. Ylang ylang oil is most widely used for aromatherapy and perfumes, but it’s also used to flavor ice cream in Madagascar. Mostly the flowers are used in Indonesia and the Philippines for traditional and spiritual uses. When it comes to meditation, ylang ylang is a great essential oil to use because it helps relieve stress and depression. It’s often used to increase happiness and can be helpful when meditating during times of sadness or frustration. Occasionally, when you first use ylang ylang essential oil it may cause headaches, so try to dilute it more if you have that issue. The scent of ylang ylang oil is very floral with a sweet fruitiness. Other uses for ylang ylang oil includes fighting oily skin and lowering high blood pressure. It’s also an aphrodisiac. 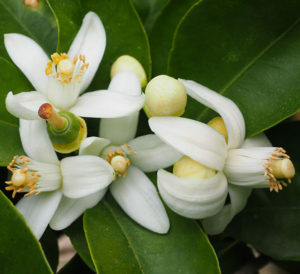 Neroli essential oil is made from the blossoms of the bitter orange tree. The tree is originally native to southeast Asia but had been cultivated throughout the world by humans. In the spring, the flowers are steam distilled to create an oil with a rich orange-brown color. Historically it has been used in perfumes with records dating back to 17th century Italy. It’s also used occasionally for flavoring food products and is rumored to be one of the secret ingredients in Coca Cola. In aromatherapy, neroli oil is often used to treat stress, depression, and insomnia. That makes it a great option if you want to use essential oils for meditation. It’s perfect for times when stress and other negative emotions are interfering with sleep and great for meditating before bed. Neroli is a very potent oil that should be diluted, so your bottle will go a long way. As expected, neroli oil has a sweet, floral, and citrusy scent, though orange blossom oil (extracted from the same flowers by a process called enfleurage) is much sweeter and more floral than neroli. Jasmine is well known for its fragrant flowers, so it’s no surprise that it is also used for essential oil. Unlike many other essential oils that are created through steam distillation, jasmine essential oil is made by taking the flowers and extracting the aromatic oils by using a solvent. The resulting oil is golden brown color. (Because a small amount of the solvent will remain in the oil, it should not be used internally.) Jasmine flowers are also used for garlands or in perfumes. Jasmine tea is very popular in China and Japan, which utilizes the Jasmine flowers along with green or white tea. Jasmine is often thought of as an uplifting scent which is used to combat depression. It’s also good for exhaustion. If you’d like to use it while meditating, you’ll find it particularly helpful in times of sadness or when you’re feeling overworked. 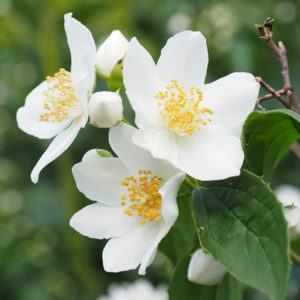 Jasmine essential oil has an exotic floral scent. Other uses include treating dry or sensitive skin and easing labor pains. Once you’ve decided what essential oils or blends you want to use while meditating, you have a few options for how to incorporate the oils into your practice. Generally, essential oil diffusion is the most common way of using essential oils for meditation. If you choose diffusion, there are a few ways to do it with items you probably already have in your home. You also have the option of purchasing a diffuser specially made for aromatherapy. We will briefly go over each option. Tissue Diffusion – This is the easiest method and can be done almost anywhere, including in public spaces like an office. Take a tissue and add a few drops of your essential oil. Set the tissue somewhere nearby. As air moves around you, the scent will waft in the air. This work well if you’re looking for a moment of calm in an airport waiting lounge, but doesn’t provide as much fragrance if you’re trying to fill an entire room with aroma. Steam Diffusion – Take two cups of boiling water and pour it in a boil. Add up to 10 drops of your chosen essential oil. The steam from the hot water will heat the oils so they evaporate into the room and disperse the aroma. This works well for short periods of time, but if you’re looking for a longer lasting aromatherapy experience you should consider purchasing a diffuser. Candle Diffusers – These are often loved by meditators because they make a beautiful addition to any altar or meditation space. 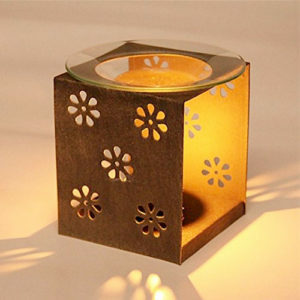 Candle diffusers are usually metal or ceramic devices that frequently look like a little house, though you may find other designs in stores. They feature a little bowl or dish where you pour your essential oils. The dish is then heated with a tea light candle, which warms the oil and dissipates it into the room. Electric Heat Diffusers – These devices use the same principle as a candle diffuser but uses electricity to heat the oil. They are usually a small round bowl shape with a cord to plug into the wall, though battery powered options also exist. The diffuser heats up and the oil dissipates into the room. These are a great option if you want a minimalist diffuser but live in an apartment or dorm where candles are not allowed. Steam Diffusers – This style of essential oil diffuser is becoming more and more popular lately. Think of it like a humidifier that disperses the therapeutic aroma of essential oils. Most models use a cool mist that can be more pleasant in summer months that using a heating method. These humidifiers are also great for longer use, with some models operating for 8 hours. They are great if you want to use essential oils at night while you sleep. 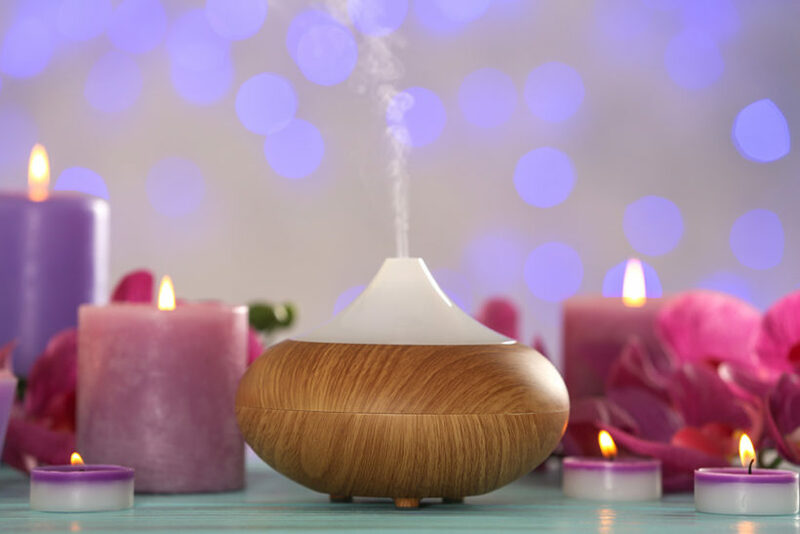 Find examples of each type of diffuser in our article about the best essential oil diffusers for meditation. Some people like to apply oils directly to their body while they’re meditating, which works well in public spaces or while traveling and staying in hotels. You can apply the oil to your palms, cupping your hands and inhaling the oil. Another option is to apply the oil to pulse points on your body or to your third eye. The choice of how to use your essential oils for meditation is up to you. It may vary by the day or the intention you’re focused on during your meditation. Feel free to experiment, not only with different types of oils but also with different ways of diffusion and applications. If you are applying the oils directly to your body, you should make sure to dilute the oils first. Disclaimer & Safety Information: All of the information provided on this page is for informational and educational purposes. We are not medical professionals and we highly recommend consulting with a doctor before using essential oils as a part of any medical treatment. When using essential oils for meditation, do not ingest any of the oils. If you are applying oils to your skin, make sure you are diluting the oils first. Apply the benefits of aromatherapy to your yoga practice with these essential oils for yoga.